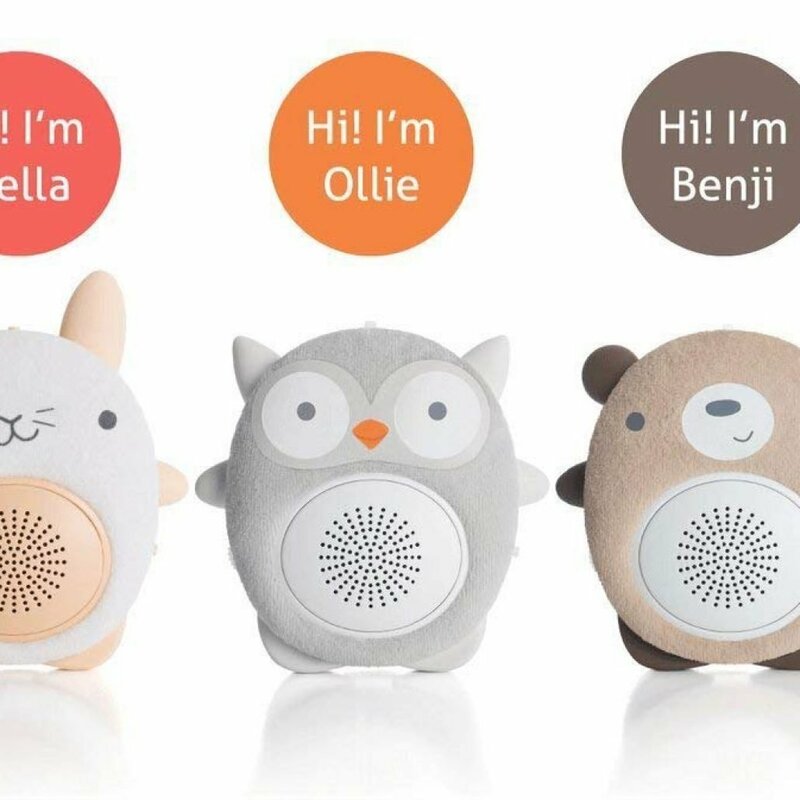 Portable Baby Soother comes in 3 adorable animal options: Ollie the Own, Benji the Bear or Bella the Bunny. The device is small (3.5 inches tall), lightweight (5.9 ounces) and comes with a soft, padded fabric cover for your baby’s comfort. 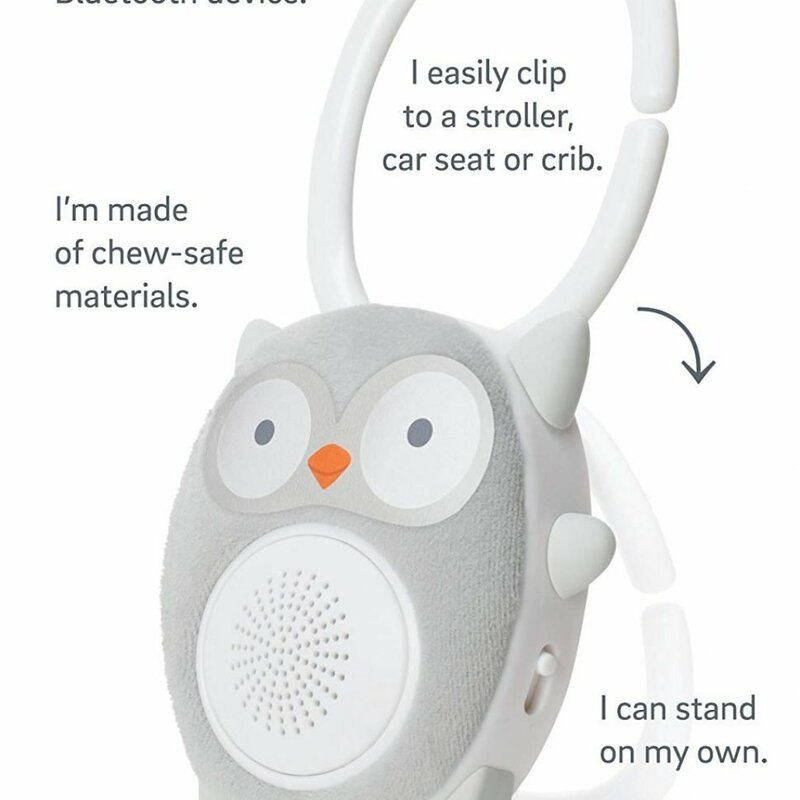 The animal comes with 2 preloaded white noises to calm your baby and block out disrupting outside noises. Press the animal on its belly button to cycle through Ocean Waves or Gentle Rain. When you want to put your baby to sleep but save battery life, set Portable Baby Soother to a 30, 60 or 90 minute timer. Or you can have it run continuously. If you’ve found music that your baby already loves, play it from your phone or tablet – the speaker is Bluetooth compatible. You can also download and use the free iOS and Android compatible VoiceShare app. On it, you’ll find more soothing sounds as well as the ability to record, save and play voice notes. 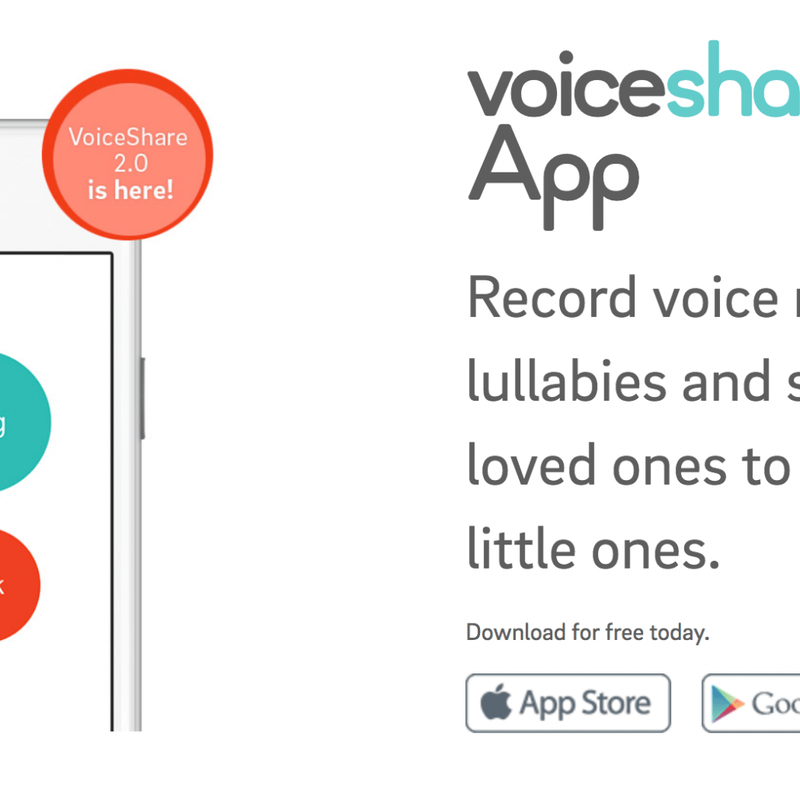 You, grandma, grandpa or anybody else who wants to can download the app to record and leave a message for your baby. Made for portability, your cute animal sound machine is built with a hide-away handle to be used as a stand, a clip or for easy carrying. Portable Baby Soother has a rechargeable lithium battery for quick charging through the included micro USB cable. The battery will last for about 4 days with continuous use. Made from chew-safe materials with sound-soothing features for your baby, Portable Baby Soother makes a perfect holiday or baby shower gift for new or expecting parents.